The End of License Term Construction deadlines for both WY and WZ license holders are coming due in June of 2019. Please note also that leased spectrum may have license terms ending prior to June, at which time the lease holder’s End of License Term Construction filings will need to be made. These filings can take weeks to complete properly – do not delay in preparing to meet these deadlines. 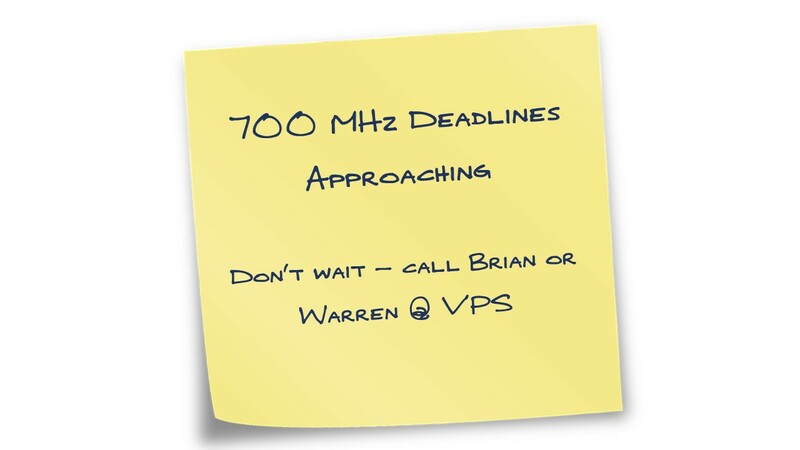 Vantage Point has the expertise and tools to accurately model your existing wireless operations to create the advanced showings required by the FCC for the Lower 700 MHz licensees’ End of License Term Construction filings.